Today I was surfing the internet and by chance I went to the PC World site, I stopped at the best products of the year, and as Expected Firefox is on the top of the list, and IE is not mentioned :p.
I was looking for that movie for a long time, but I just couldn’t find it, Until yesterday I had the chance to see it as it was broadcasted on the TV and it really dazzled me, If you haven’t see this movie I hope you go and look for it first then come to continue here, as I don’t want to ruin the story of the movie for you. At first what is magnolia? 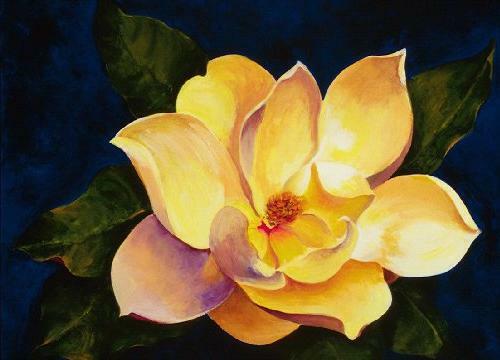 Magnolia is a magnificent shrub with exquisite heavily perfumed flowers, considered to symbolize femininity and beauty. The movie is about one day in a lot of peoples lives, A man who is dying in cancer, his wife who finally learned to love him, his nurse who really tried to help him really hard, and a son of him who considers him dead, a show man (his show is something like What do kids think? I guess) who is also in the beginning of his end, with a wife who he had cheated on her, and a daughter that really hates him (I just couldn’t catch the reason, if you did please tell me) who is also a Coke-addicted, a genius boy who is participating in the show, also his father who wants him to win, an ex-genius boy, who has made a record in that show, who also has lost all what he got in his life. A cop who is divorced and feeling lonely who in that day meets the daughter of that show man and falls in love with her, and also a mysterious boy who just meets with the cop, and the wife who is rapping a song, claiming that it’s telling the truth, and also giving the answer to who is the killer. There was no center story in this movie, but a couple of threaded stories going on who in some way interacts with each other, going from one detail to another, but in my point of view almost all of them were going to a change point that day, the wife wanted learned to love her husband finally, and her conscious is torturing her for cheating on him, her husband admits his faults toward lily which is the mother of his kid, who named himself in another name (he was Jack but everybody knew him as Frank), a reporter shocks this Frank with the real story of his life, This show man find out that he has cancer, and tries to fix things up with his daughter, and for falls in the middle of his show, the genius boy at last refuses that his father is not treating him right, he also refuses to go on stage for the one-on-one competition, so his team losses, he refuses to be a joke for the audience, the ex-genius boy who lose his job, who discovers that he is only spending money on things he doesn’t need, who just says that he just knew useless information, none of this information helped him with his life (I guess he was also gay, I don’t know), â€¦ etc. There are some little things that happened in the movie I really couldn’t fully understand. The Frogs rain I know it means that strange things could happen, but is that it all, why frogs, what do they symbolize. This mysterious kid, who is he? And what was he actually talking about? I couldn’t get it really. What does the dog eating morphine meant, the only thing it mad that it died in the end with the dying man, does it mean anything else. If you know please tell me.